Recently appointed Assistant Professor of Jazz Vocal Studies, Prof. Pittson is relocating from the West Coast to New York. Born into a family of professional musicians, Suzanne began piano lessons at age eight. She subsequently earned her Bachelor and Master of Music degrees as a pianist and musicologist at San Francisco State University where the topic of her master’s thesis was "Developmental Techniques in the Late Piano Pieces of Johannes Brahms." When a hand injury forced her to explore other forms of artistic expression, she began to sing jazz. Applying her many years of piano study to the voice, she set out to learn and apply the vocabulary of jazz instrumentalists to her vocal art. Performances at jazz clubs and various concert venues were accompanied by eight years of classical voice study. Two critically acclaimed CD's followed: Blues and the Abstract Truth (1996) and Resolution: A Remembrance of John Coltrane (1999), featuring original lyrics to Coltranes' seminal composition "A Love Supreme." 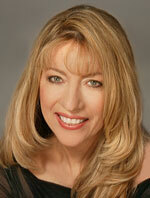 For more than a decade Suzanne served as a jazz vocal instructor at Sonoma State University, U.C. Berkeley, and the JazzSchool. Here on the East Coast she looks forward to her continuing development as a performing artist, and to sharing her passion for jazz with her students at CCNY where, in conjunction with its outstanding jazz faculty, she will be building a world-class jazz vocal program. She lives in Dobbs Ferry, NY with her husband, pianist Jeff Pittson, and 12-year-old son, Evan. B.M., M.A., San Francisco State Univ.